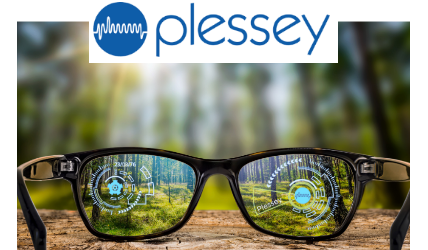 Plessey’s high-brightness displays will be able to comfortably power the next generation of smart-glasses and wearable display applications with its light weight and energy efficient microLEDs without restricting the overall experience for AR, MR and HUDs applications. Renowned for being an innovative technology design and manufacturing company, Plessey is a world leader in producing GaN-on-Silicon LEDs selling to a range of blue chip global customers. As a technology company we are passionate about providing intelligent electronic solutions using solid state lighting and sensing to enhance people’s quality of life. Plessey LED products make use of our innovative GaN-on-Silicon technology to provide lighting solutions across the industrial, architectural, retail, outdoor and residential sectors.